Israeli troops shot dead dozens of Palestinians on the Gaza border as the United States opened its embassy to Israel in Jerusalem, a move that has fuelled Palestinian anger and drawn foreign criticism for undermining peace efforts. It was the bloodiest single day for Palestinians since the Gaza conflict in 2014. 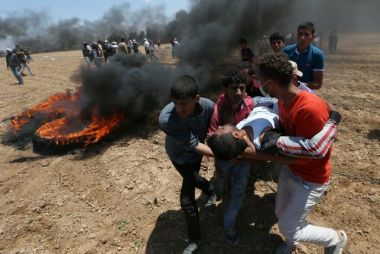 Palestinian Health Ministry officials said at least 58 people were killed and more than 2,700 injured either by live gunfire, tear gas or other means during protests on the border. The bloodshed drew calls for restraint from some countries including France and Britain and stronger criticism from others, with Turkey calling it "a massacre" and withdrawing its ambassadors to the US and Israel. In contrast to the scenes in Gaza, Israeli dignitaries and guests attended a ceremony in Jerusalem to open the US embassy following its relocation from Tel Aviv. Israeli Prime Minister Benjamin Netanyahu thanked Mr Trump for "having the courage to keep [his] promises". "What a glorious day for Israel," Mr Netanyahu said in a speech. "We are in Jerusalem and we are here to stay." Mr Trump, in a recorded message, said he remained committed to peace between Israel and the Palestinians. 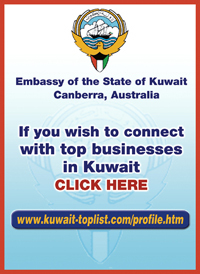 He was represented at the ceremony by his daughter Ivanka and his son-in-law Jared Kushner, US envoy to the Middle East. But Palestinian President Mahmoud Abbas said the US had opened an "American settlement outpost in East Jerusalem". He called the deaths in Gaza a massacre and announced a general strike on Tuesday. The decision to move the US embassy has been opposed by many in the international community who fear recognition of Jerusalem as Israel's capital jeopardises prospects for a two-state solution. The clashes came on the 70th anniversary of Israel's founding, with loudspeakers on Gaza mosques urging Palestinians to join a "great march of return". "Today is the big day when we will cross the fence and tell Israel and the world we will not accept being occupied forever," said Gaza science teacher Ali, who declined to give his last name. "Many may get martyred today, so many, but the world will hear our message. Occupation must end." The 58 deaths included six people under 18 years of age, including one girl. United Nations human rights chief Zeid Raad al-Hussein called for those responsible for the killings to be brought to account. 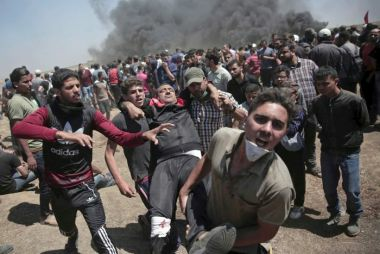 The Israeli military said the Hamas terrorist group, which runs Gaza, was using civilians as cover to breach the fence. It said it killed three people trying to plant an explosive device near the border fence and launched airstrikes on Hamas positions after its troops came under fire. The killings drew international criticism, but the US echoed Israel in accusing Gaza's ruling Hamas movement of instigating violence, an allegation it denies. Jason Greenblatt, Mr Trump's Middle East peace envoy, said on Twitter that "taking the long-overdue step of moving our embassy is not a departure from our strong commitment to facilitate a lasting peace deal. Rather, it is a necessary condition for it." But Palestinian Prime Minister Rami Hamdallah said Mr Trump's recognition of Jerusalem as Israel's capital in December and the relocation of the embassy were "blatant violations of international law". Australian Foreign Minister Julie Bishop expressed sadness over the deaths, saying Israel had "legitimate security concerns" but calling for it to refrain from excessive use of force, and urging Palestinian protesters to refrain from violence. The Palestinians, who want their own future state with its capital in East Jerusalem, have been outraged by Mr Trump's shift from previous administrations' preference for keeping the US embassy in Tel Aviv pending progress in peace efforts. Those talks have been frozen since 2014. Other international powers have been worried the US move would inflame Palestinian unrest in the occupied West Bank, which Israel captured along with East Jerusalem in the 1967 Middle East war. Israeli Opposition Leader Isaac Herzog said he was adamantly supportive of a two-state solution, namely the creation of a Palestinian state side-by-side with Israel. "A demilitarised state where we enjoy full peace and security — and security is a must," he said. "Our security interest must be met under such a deal. "Right now it looks far away, but I think the Palestinian political system, which is right now bust, has to pick up its act and move forward." Israel's military dropped leaflets into the enclave on Monday, warning Palestinians "not to serve as a tool of Hamas" or approach or damage Israel's frontier fence. But thousands of Palestinians massed at five locations along the line. Of the people wounded by Israeli gunfire, four were journalists, officials said. The Israeli military said its troops were defending the border and firing in accordance with the rules of engagement. "We are prepared to face the Hamas threats to disrupt the [embassy] festivities," Israeli Defence Minister Avigdor Lieberman tweeted. "My recommendation to the residents of Gaza: Don't be blinded by [Hamas's Gaza leader, Yehya Al-] Sinwar, who is sending your children to sacrifice their lives without any utility. "We will defend our citizens with all measures and will not allow the fence to be crossed." The 'march of return' protests are scheduled to culminate on Tuesday, the date Palestinians mourn as the "Nakba" or "Catastrophe" when, in 1948, hundreds of thousands of them were driven out of their homes or fled the fighting around Israel's creation. "Choosing a tragic day in Palestinian history [to open the Jerusalem embassy] shows great insensibility and disrespect for the core principles of the peace process," Mr Hamdallah wrote. Most countries say the status of Jerusalem — a sacred city to Jews, Muslims and Christians — should be determined in a final peace settlement and that moving their embassies now would prejudge any such deal.